This signet ring is part of a capsule collection dedicated to the Year of the Pig, a celebration of the Chinese New Year in 2019. 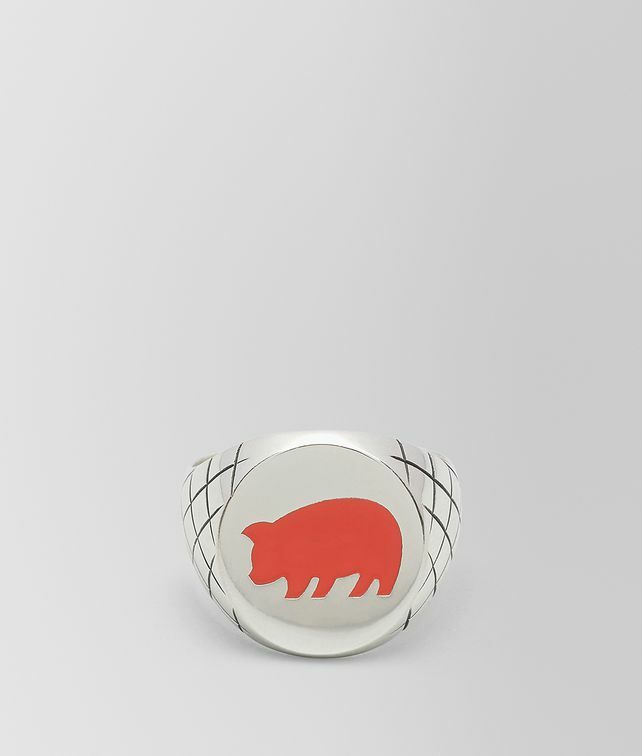 An ideal gift, this ring is crafted in intrecciato- engraved antique silver with an enamel emblem in the shape of a pig. Diameter: 1.8 cm | 0.7"